If you're spending more time inviting residents to activities than actually doing the activities, then allow us to share a few tips with you to help you in your activity program – even if you have just a few resources. With Only a Few Resources." Browse through our FREE how-to articles for fun ideas on how to access free help for your residents – from family and volunteers! 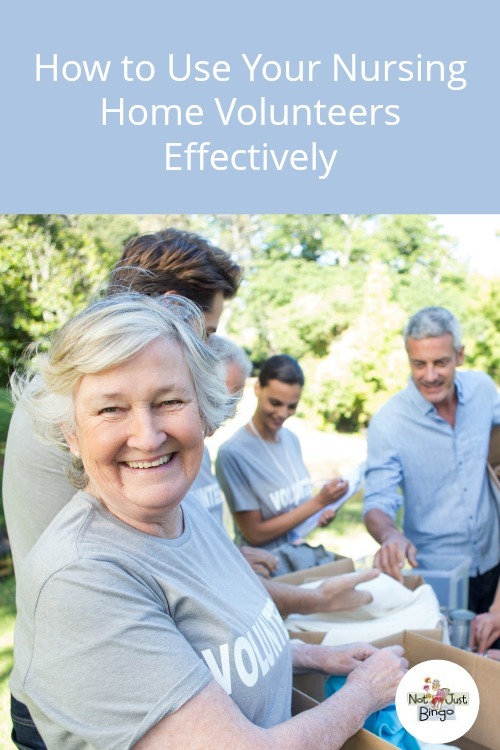 For example, read our article on How to Use Your Nursing Home Volunteers Effectively to make sure that you're using your facility's volunteers in the best way that helps your activity program. In addition, if you have family members who come to your facility a lot, then read our article about How to Involve Family Members in Your Activities to take advantage of their frequent visits! Check out our Observance Calendars to find fun observances and holidays throughout the month that you can use as inspiration for fun senior activities, like inviting a family member who loves to bake to demonstrate how to make her family's special apple pie recipe on National Apple Pie Day (May 13), or scheduling a kitchen staff member to host a Cake Frosting Class to show residents how to frost a cake on National Devil's Food Cake Day (May 19). Finally, try-out the Not Just Bingo membership to access hundreds of fun activities each month that your residents will love! Find fun small and large group activity ideas, including activities for your residents with dementia, your male residents, as well as fun weekly-themed activities.